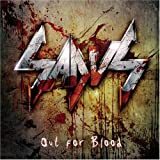 Sadus is a highly technical thrash metal outfit from the United States. 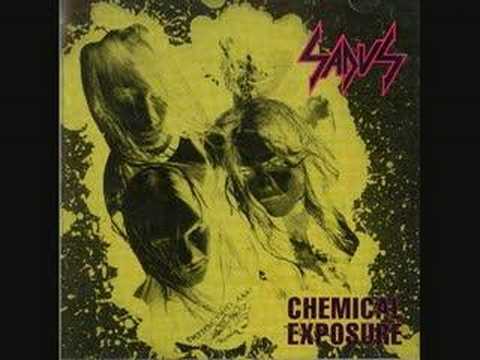 Sadus formed in 1984 in Antioch, California. 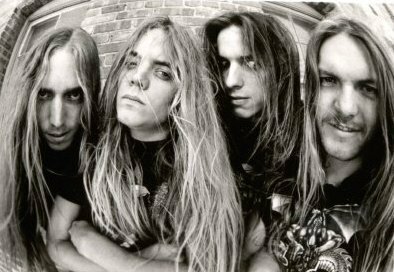 While their very first efforts were based highly on Slayer, these players gradually progressed and developed their sound into a unique, innovative kind of music. Despite suffering from poor media exposure, this band has been able to reach the highest peaks in the genre, due to their constantly improving musicianship.The band name was suggested by a friend of the band named Rick Rogers back in 1985. It was originally taken from the novel Dune where Sadus are judges. The Fremen title refers to holy judges, equivalent to saints. However, as stated by bassist Steve DiGiorgio: "He (Rogers) liked the sound of it and he said he could make it into a cool logo. So we chose it [...] it's not supposed to have a meaning as we don't stand for anything." 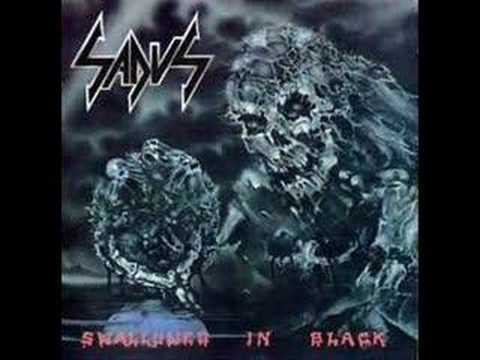 "Swallowed in Black" is the 2nd full-length studio album by US, California based thrash metal act Sadus. The album was released through R/C Records in September 1990. 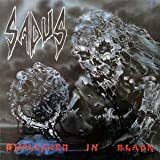 Sadus were formed in 1984 and released their debut full-length studio album "Illusions" in 1988. The lineup who recorded the debut album is intact on "Swallowed in Black". 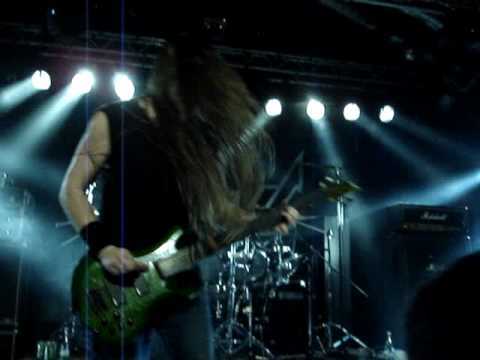 Stylistically Sadus continues the aggressive thrash metal style they played on "Illusions (1988)". Darren Travis (vocals, guitars) has a caustic snarling delivery, that when it´s not über aggressive, is close to hysteria. The band predominantly play fast...really fast, but they do lower the speed for limited periods of time, which makes the music slightly more varied than what initial listens may reveal. It´s overall not that varied though, and I´d go as far as to call it one-dimensional. Some tracks stand out (like the two short ones "Last Abide" and "In Your Face"), but when you get half way through the album, it gets hard to tell the tracks apart. It does become a minor issue, but not an overshadowing one. The music features many tempo changes, breaks, and little details, which occasionally reach jaw dropping levels, but the band are very well playing and execute the fairly technical thrash metal to perfection. Especially drummer Jon Allen and bassist Steve DiGiorgio deserve mentions for their contributions. The latter is on fire all the way through the album with some very busy fretwork not usually heard from bassists in the genre. He has a very dominant role in the soundscape. Also because of the rather thin sounding rhythm guitars, which often take second seat to the bass. "Swallowed in Black" is actually an album that´s a bit hard to rate, because it´s absolutely fantastic in some ways (expecially the musicianship is quite astonishing), but the rather one-dimensional take on composition and lack of immediate hooks make the album seem much longer than it´s 44:34 minutes, and that of course drags in a more negative direction. So while I really want to award this one with a 4 star (80%) rating, there are simply too many flaws for me to justify such a high rating and a 3.5 star (70%) rating is more appropriate. 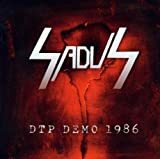 "Illusions" is the debut full-length studio album by US death/thrash metal act Sadus. The album was originally released on vinyl through Sadus Records in 1988. 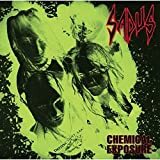 It was re-issued on CD in 1991 through Roadrunner Records, but with a different cover artwork and the title "Chemical Exposure". So it´s the same album released under two different titles and featuring two different cover artworks. 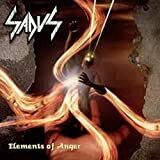 Sadus have always had a highly original sound and already on this debut album we´re subjected to their distinct sounding technical death/thrash metal. 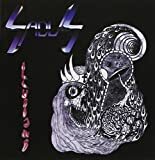 The rabid dog sneer of Darren Travis, the frantic aggressive compositions, the "loud in the mix" and fast paced bass playing by Steve DiGiorgio and the fast paced guitar riffing. It´s all there and accounted for. At 29:11 minutes "Illusions" is one short and aggressive release and considering that it was released in 1988, it´s actually unusually aggressive. 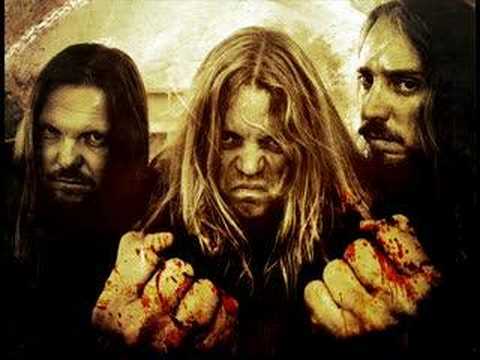 Tracks like "Certain Death" and "Fight Or Die" are positively full of fierce aggression but the same can be said about the rest of the material. Therein lies a bit of an issue though as it also means that the material is slightly one-dimensional and the tracks are hard to tell apart. ...the fact that the sound production is slightly less powerful than it could have been (it´s pretty raw and unpolished which suits the music fine though) is also a slight issue. Overall "Illusions" is however quite the enjoyable release and a promising start to Sadus career. A 3 - 3.5 star (65%) rating is warranted. 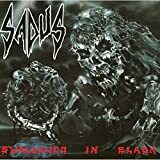 No SADUS movie reviews posted yet.